Watching the extreme poverty of wunder-kid Budhia Singh’s life in this brave and profoundly moving biopic, I felt rich and privileged. Cinema that can elevate your spirit while depicting the tragic loss of youth and innocence in the midst of abject deprivation is a rare exception and eminently welcome. Ergo, a standing ovation for debutant director Soumendra Padhi’s bluntly brilliant biopic. It may not brag of the brio that dazzles us in Dishoom or the swag that makes Salman the Sultan of the box office. 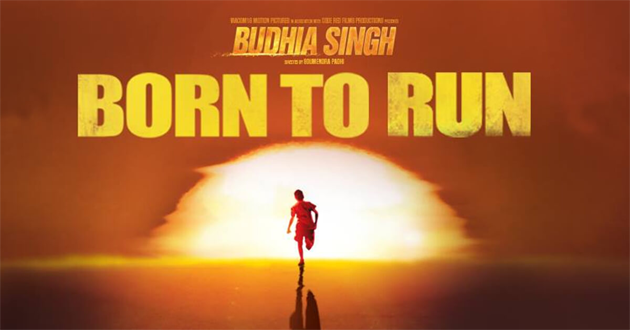 But by God, Budhia Singh – Born To Run spreads sunshine in the viewer’s heart. Its notably pronounced mood of transparency lends to the narrative a sense of unadorned directness. And yet this film is not a dry documentary on am exceptional child from Odisha who ran (and he ran, and ran…) because…well, there were roads to cover and miles to travel. Alas, his promising career as India’s youngest marathon runner was cut short by politics and destiny. Padhi has designed his exceptional and precious film as a homage to the spirit of survival in the most deplorable of conditions. The film is shot in Odisha and the scenes of the coach and his pupil running on the beach are lucid and untouched by filtered artifice. While telling the story of little Budhia Singh’s fleeting rise to celebrity status, Padhi’s cinematographer Manoj Kumar Khatoi cuts intermittently to impoverished faces of little children with expectant eager eyes. This exploration of India’s unsung underbelly is done without scavenger’s self-congratulatory touristic flourishes. Budhia Singh – Born To Run is clearly and unmistakably born out of a conscience that cares, and cares deeply. There are passages of unostentatious lyricism that runs across the documented drama scampering to blend into the overall fabric. The bond that grows between the little runner and his aggressively committed coach Biranchi Das (Manoj Bajpai, exceptional) is in many ways representative of the unassuming unconditional affinity that the director shares with his characters. These are people, not prototypes expressing real emotions, not manufactured and tweaked versions of the real stuff. For all its propensity to project little Budhia’s story as authentically as cinema permits, director Soumendra Padhi’s film merits an attentive respectful viewing. There is no attempt here to romanticize poverty or take ghoulish delight in it (say, in the way Anurag Kashyap’s Raman Raghav did recently). Budhia Singh doesn’t serenade squalor. Nor does it accentuate the little boy’s prodigious aptitudes in contours of cuteness. Casting little Mayur Patole as Budhiya is a master-stroke. As Budhia, little Patole is as clueless about the frenzied processes that trigger off his meteoric rise as the young actor must have been while playing the part. It is up to Manoj Bajpai as Budhia’s obstinate and adamant coach to imbue the little boy’s struggle to comprehend the enormity of his stardom in a proper cultural and political perspective. Bajpai holds the plot together, as only he can. He gets some solid support from known and unknown actors. Shruti Marathe as Bajpai’s wife is lovely. But the habitually skilled Tillotama Shome strikes some discordant notes as Budhia’s self-serving mother. Also, the politicians are shown to be caricatures of the clan. Which is perhaps part of the plan. Minor quibbles apart, this is film that must be seen by every Indian. Without getting preachy hysterical or self-important it tells us where we are going wrong in nurturing young talent. It also tries to find the dividing-line between altruism and self-interest when the little boy’s coach begins to overstep the call of duty. Extraordinary in every sense, this is a story that had to be told. Just as every Budhia needs a Biranchi Das, every story of an unsung hero needs a filmmaker with a dispassionate vision. Budhia Singh – Born To Run should be granted a tax exemption in every Indian state. 15 queries in 0.696 seconds.